Do you know about Lo-Lo EO's? EO's (essential oils) are natural compounds derived from plants, that have powerful biochemical compositions which often stimulate our brain, affecting mood and well being. Like you and me, Lo-Lo EO’s are a wondrous mixture of individual qualities, some very bold and assertive, others showing a softer, gentler face. By applying specific EO’s or blends, you choose the way want your mood affected. 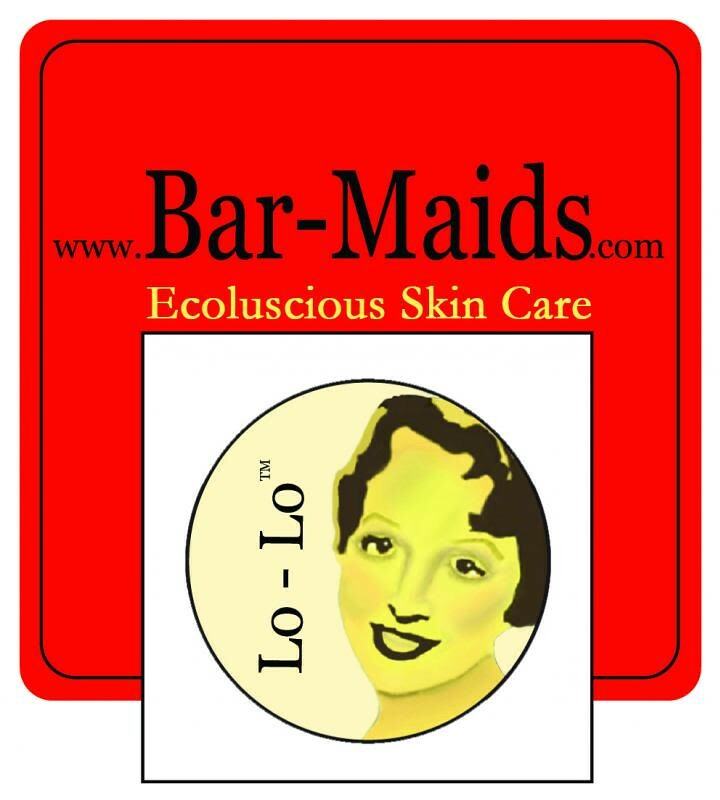 When EO’s are combined with Bar-Maids soothing combination of natural oils and butters, you have an amazing Lo-Lo experience. EO’s are powerful, and respecting them is appropriate. With that in mind, do you want to relax, rejuvenate, or recharge? It's all up to you. Lo-Lo EO’s are available in the Body Bar, To-Go Bar, O’ for Feet Sake, and Lip Balm, and Cuticle Intensive. Love self-striping yarns but not quite sure how to use them? Join the Knitcircus Yarns Gradient Yarn Club and let hand-dyer and designer Jaala Spiro guide you! Three packages of exclusive self-striping colorways with patterns written just for them, plus information and lists of favorite patterns for using gradient yarns. The cherry on top? Treats from other indy knitting businesses with every package. 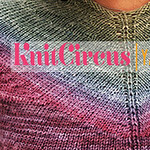 Check out the Knitcircus Yarns store for handpainted and kettle-dyed yarns, too! Purlescence Yarns is so pleased to support Halos of Hope, a wonderful organization that we have decided to throw a huge event to inspire you all to create hats for Halos of Hope. Join us Saturday, July 13 and Sunday, July 14 for a 24 hour long Halos of Hope-athon. From noon Saturday to noon Sunday, we will be open for mad hatting! We'll have contests and tons of prizes, and plenty of yarn on hand so we can send a record number of hats to Halos. Our particular focus for this event is Halos' Camp Happy Times Project . We'll be knitting kids' hats in star themes (think stars, moons, constellations, Star Wars, Star Trek, and more!) for kids 5-22 battling cancer. Call (408) 735-9276 to RSVP! At Stash, knitting isn't just a hobby. It's a lifestyle. We believe happiness can be found in a skein of yarn and that the thrill of fantasizing about a project is just as exciting as actually making it. We knit. We play. We inspire. Join the fun and indulge in your knitting fantasies at www.stashlocal.com. Gigi is gushing over the Brainless sock pattern by Yarnissima. She is also working on a Spice Man sock for Jasmin, who mentions HDYarns on Etsy, who has wonderfully colorful striped yarns. Jasmin is working on the yoke of her Calligraphy cardigan. She mentions Christine, from the Yarnings podcast, and Natalie of the former BarknKnit. Gigi has finished her second Pinus Silvestris sock, and has finished eight socks out of the twenty that she is knitting out of The Knitters Curiosity Cabinet. Now she is working on the Narcissus socks. Gigi is shopping Ravelry for more projects for The Summer of Lace and Beads. Jasmin is thinking of starting an Ophidian. She is waiting for her yarn to be wound, to continue working on her SPAKAL. We heckle Dr. Gemma. Gigi references Cat Bordhi, and Jasmin is enjoying working on her Boneyard shawl . We talk about gradient designs, and mention Tess Yarns, the Mannings, and Hanne Falkenberg. We answer a question from the "What do you want to hear about ?" thread about what would be a good beginner project for someone starting to sew. We mention Craftsy and Pinterest tutorials. Gigi missed the fact that the Pinus Silvestry sock have a right and a left. And then she knitted the heel for Grandpa Knitmore's sock much too narrow. Also, the sock she is knitting for the Commuter Knitter KAL grew too wide, because she had done too many increases. Week 5: This week we talk about getting your wheel in racing shape. We mention Murphy's Oil Soap and Wood beams. Also, Jasmin mentions her Hansen's Mini Spinner, and Crown Mountain Farms and invites all listeners to join Team Sasquatch. We had a sewing bee at the house, making sack gowns for Ms Kalendar's baby. Jasmin mentions the BabyLock Evolution serger. Great podcast as always. Jasmin, you MUST read this blog if you have not. Maybe the summer of Kale and Beads instead?